[vc_row][vc_column][vc_column_text]Sometimes you need to copy data between your computer and your phone, whether that’s music or you simply like to back up your phone contacts and data on your computer. 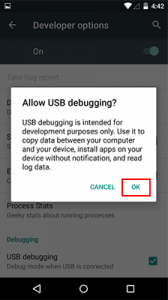 To accomplish this task, you need to enable a USB debugging from your device. 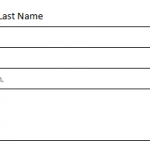 This is considered a developer tool so you will also need to enable your developer tools first. The good news is that all of this is simple and quick to do. All you need to do is follow the set of directions listed below to get started. Start by going to the “Settings” menu on your phone, then choosing “About Phone.” Next, go to the “Build number” option and tap it 7 times to become the developer. 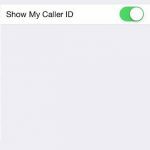 Now you have full access to your phone and all its settings! [/vc_column_text][/vc_column][/vc_row][vc_row][vc_column width=”1/3″][vc_single_image image=”11442″ img_size=”full”][/vc_column][vc_column width=”1/3″][vc_single_image image=”11441″ img_size=”full”][/vc_column][vc_column width=”1/3″][vc_single_image image=”11443″ img_size=”full”][/vc_column][/vc_row][vc_row][vc_column][vc_column_text]It will display a toast message saying you are now a developer. 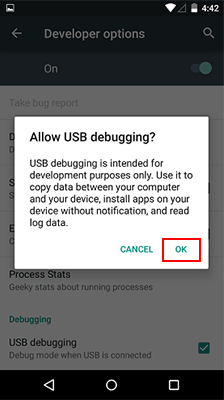 Now that you have your developer tools activated, you can proceed to enable the USB Debugging setting. [/vc_column_text][/vc_column][/vc_row][vc_row][vc_column][vc_single_image image=”11444″ img_size=”full”][/vc_column][/vc_row][vc_row][vc_column][vc_column_text]Go to Settings > Developer Options. [/vc_column_text][/vc_column][/vc_row][vc_row][vc_column][vc_single_image image=”11445″ img_size=”full”][/vc_column][/vc_row][vc_row][vc_column][vc_column_text]Check USB debugging. [/vc_column_text][/vc_column][/vc_row][vc_row][vc_column][vc_single_image image=”11446″ img_size=”full”][/vc_column][/vc_row][vc_row][vc_column][vc_column_text]This will open a dialog box asking whether to allow USB debugging. Next, tap OK.[/vc_column_text][/vc_column][/vc_row][vc_row][vc_column][vc_single_image image=”11447″ img_size=”full”][/vc_column][/vc_row][vc_row][vc_column][vc_column_text]You should note that USB Debugging mode should only be turned on when needed. Otherwise, it can cause issues with your phone. So, whenever you need to connect your phone and your computer, simply follow the set of instructions above. The issues that arise are primarily because of that or the security. Let’s say that you want to use your Android phone with a USB charging port in a public setting. That port might use your phone to access the data inside or install malicious software. However, this can only happen when you leave this setting enabled.